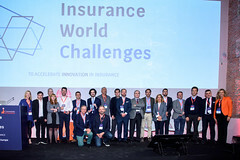 Insurance World Challenges 2019 is a major international conference that will bring together leading exponents from the insurance industry in Spain and abroad in order to share, discuss and reflect on future challenges and trends faced by the sector on a global level. Conference is relevant to the entire insurance industry that needs to understand the transformation to develop the right levers for growth, innovation, customer trends, digitization and the transformation of talent leadership capabilities. 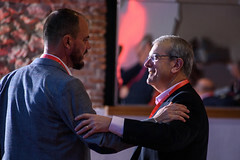 Josep Celaya in charge of the open innovation branch of the MAPFRE group as well as the various initiatives that the company is developing within the ecosystem. 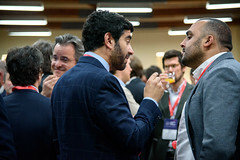 Josep is responsible for the operations of insur_space (a global accelerator for insurtech startups), the company’s Venture Capital fund, and the relationships with universities, business schools, and I+D centers in addition to other initiatives. Before becoming the Global Head of Transformation and Open Innovation, he was the Director of Corporate Innovation and the Director of Digital Business Strategy. 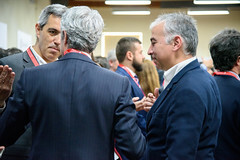 Josep was a member of the Board of Director and a part of the founding team of Verti, a startup for online insurance sales launched by the MAPFRE Group. Before that, Josep developed his career in the world of strategic consulting. Josep has a Bachelor’s Degree in Economics from the University of Barcelona, an MBA from ESADE and HEC, and a PED Diploma from the IMD. 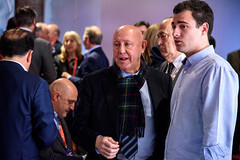 Since 2010, Jordi has been CEO of DAS Spain, a legal protection company within the insurance group Ergo. He led the change project that turned the firm into a benchmark in the insurance industry. In this period, he consolidated the cornerstones of the organisation, centring products, processes and equipment around a shared focus: to streamline the lives of people and companies in their legal environment. After these initial years, and with the aim of integrating legal solutions and technology, the company is embarking upon a new stage of innovation geared towards responding to the needs of the digital customer. 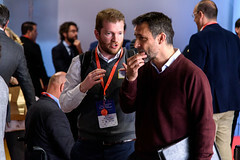 Jordi holds a degree in Economics and Business Administration and Insurance Actuarial Science from the University of Barcelona, as well as a diploma in Senior Business Management from IESE Business School. What’s more, he works as an associate professor at business schools and universities. He boasts more than 25 years of professional experience in the insurance industry, leading organisational transformation projects at insurance and financial firms. In short, a results-driven professional who is passionate about technological innovation and disruptive changes. Jordi is renowned for tackling business management with the same tenacity with which he climbs mountain peaks, his other great passion. 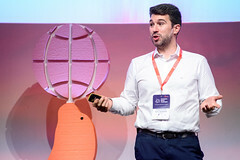 Ignacio Villoch is a well recognized generator of contents on Innovation and Digital Transformation, his field of expertise he has been working professionally for more than a decade. He has lived and worked in 4 continents in management positions of business development in the financial industry. Author of business novels such as “Diana’s Adventure. 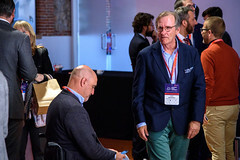 Entrepreneurship against all odds in the Blue Ocean” or ” Yago´s Challenge: the quest of the sources of talent “, actively participates as a mentor, inspirer, advisor or promoter in various communities and entrepreneurship projects. 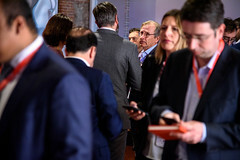 Currently he manages the creation of BBVA’s Fintech ecosystems, from where he promotes the digital transformation of the financial industry through open innovation dynamics. With 20 years of experience managing the results of programs and operations of multinationals in areas of information technology and operations, leading projects of operational transformation and launching new business. 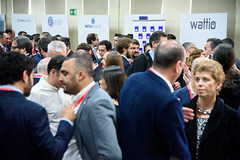 Montse has spent the last 5 years building Bridges between Start-Ups and Multinationals working closely with multidisciplinary and multicultural teams with a high level of experience in state-of-the-art technologies and entrepreneurial skills. Prior to his current position at Banco Sabadell, Montse worked from 2008 to 2016, in France leading globally an international team, providing strategic software for the business of the multinational Oil & Gas Services sector. Her work with multicultural teams in different countries has enabled her to live, adapt and adopt the cultural wealth of South America, the United States, Italy, Japan, South Korea, South Africa, India, Malaysia and the United Arab Emirates. She has been Director of Operations of a multinational Information Technology in South America and responsible for the implementation and delivery of Information Technology services of 4 Olympic Games, Pan American Games, and several World Championships and Coverage of the UN. Montse is a regular contributor to mentoring and social innovation programs. Carlos is a graduate in Telecommunications Engineering with a Master’s in Business Administration and a Management Development Diploma from IESE Business School. He’s an executive with more than 15 years of experience in insurance and the digital world, having spent 13 years working at AXA Group in technology and process management in Spain and Latin America. What’s more, in 2010 he created and directed a worldwide Digital Innovation Centre for AXA Group. In the last two years, he has been leading the global digital transformation of Mapfre Group. Carlos is currently in charge of digital management for insurance in Europe at the consulting firm Everis. He’s passionate about innovation and out-of-the-box thinking, as well as being a renowned change manager and a heartfelt leader who loves to motivate his teams. Ana Baranda is director of Strategic Alliances and Partners of Zurich since November 2016. She joined Zurich in 2010, and since then she has had different responsibilities in Spain and in the Group: director of the Technological Excellence Center for Europe, responsible for IT for Spain and global head of the IT development centers. Ana is an agronomist from the Polytechnic University of Madrid and PDG from IESE. Reggy de Feniks is an expert on digital customer engagement strategies, speaker and bestselling author. He co-authored the worldwide bestseller “Reinventing Financial Services: What Consumers Expect From Future Banks and Insurers,” (translated in eight languages), and “Reinventing Customer Engagement: The Next Level of Digital Transformation for Banks and Insurers”. Reggy holds a 25-year track record working for blue-chip financial institutions in over 40 markets and has advisory positions at insurtechs and investors. 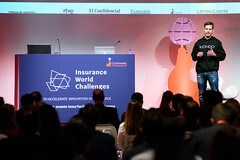 He co-founded The Digital Insurance Agenda (DIA). 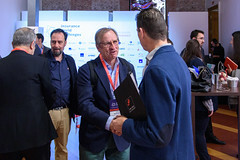 DIA Amsterdam and DIA Munich are the world’s largest must-see insurtech and insurance innovation events, with insurance executives from over 50 countries. Politécnica de Madrid, and he has also studied a PDD at IESE. Yolanda Pérez is the Director of BStartup, the Entrepreneurship Division of Banc Sabadell responsible for several areas: traditional financial services aimed at startups, investment in equity and open innovation. 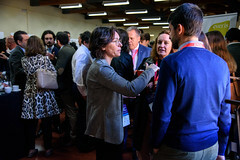 Prior to this she worked for more than 15 years for a range of public and private initiatives aimed at supporting and boosting new business, mostly occupying different positions at Barcelona Activa, the local development agency of Barcelona City Council, where she promoted and led programmes for innovative companies, such as business incubators (Glòries and Almogàvers), the Barcelona Nord Technology Park and various funding, growth and internationalisation schemes, online services for entrepreneurs, etc. She has a degree in Law, a Masters in Public Policy and has taken several courses specialising in business creation and growth. More than 15 years of experience in the insurance sector. Professional Certification in Customer Experience. Linked to the venture, She has developed innovative insurance in the Spanish market: insurance for startups, cyber protection… In constant relation with innovation and new consumption models, to design insurance solutions that make the customer’s life more facile. She has a degree in Law from the University of Granada and a Master’s degree in from the Complutense University of Madrid. More than 25 years of experience in leadership positions in sales, marketing and business development. Extensive experience working for leading companies worldwide such as: EY, Sterling Software (CA), BULL (Atos) and msg-life. She accumulates a very heterogeneous baggage, from Consulting through software manufacturers etc. She has a global view of the Banking & Insurance industry. Cristina joined msg life Iberia in 2014 to develop the Spanish market and is participating in the main processes of Digital transformation that are taking place in our sector. Ha realizado proyectos en España, Brasil (2 años) , así como en México, Chile, Colombia, Marruecos, Portugal, Italia yAlemania. Graduate in Nuclear Engineering from the Polytechnic University of Catalonia and holder of an Executive MBA from IESE Business School, Óscar boasts more than twenty years’ experience in the management of technological projects and sales teams, always related to his great passion, marketing and sales. He is the co-founder and CEO of ForceManager, a sales management software application for mobile devices that optimises the performance of sales teams. 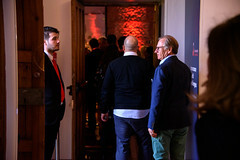 With offices in Barcelona, ​​Madrid, Bogota, Mexico and London, and a ninety-strong international team, in just five years ForceManager has recorded spectacular growth and secured itself as a benchmark in technological innovation for the management of sales teams in both small companies and large multinationals. from the Universidad Pontificia de Salamanca. Responsible Business Banking for IEB. Insurer, consultant, communicator, lecturer and editor. Adviser of insurers in several European countries and of national and international brokerages. He was General Manager of AXA AURORA VIDA and General Manager of AURORA Seguros, Director of Agroseguro. 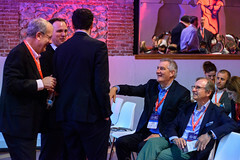 He was Board member of BBVA ‘s affiliated companies and a member of the AXA’ s strategic insurance committee and the AXA International Personal Insurance Committee. 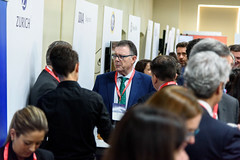 He dedicates much of his time to the socialization of insurer knowledge as Editor of the digital newspaper MAGAZINE COI aimed at insurance professionals in Spain and Latin America. He participates frequently in national and international insurance forums, invited by companies and sectorial organizations. Law Degree from the University of Deusto, Economics Lawyer, Postgraduate Course in Business Management from UC Deusto. Community of Insurance is a consolidated reality in four areas of activity: Communication, Consulting, Knowledge Management and Professional Events.Through these four areas, we promote excellence in civil society and businesses through the sharing and dissemination of knowledge.